Despite warnings from China that Germany should not interfere in its internal affairs, Foreign Minister Heiko Maas called on Beijing to be transparent about the human rights conflict surrounding the Uighur Muslims. German Foreign Minister Heiko Maas began his visit to China on Monday by calling for more transparency from the Chinese government regarding the human rights conflict surrounding reports about the mass detention of a million Uighur Muslims. 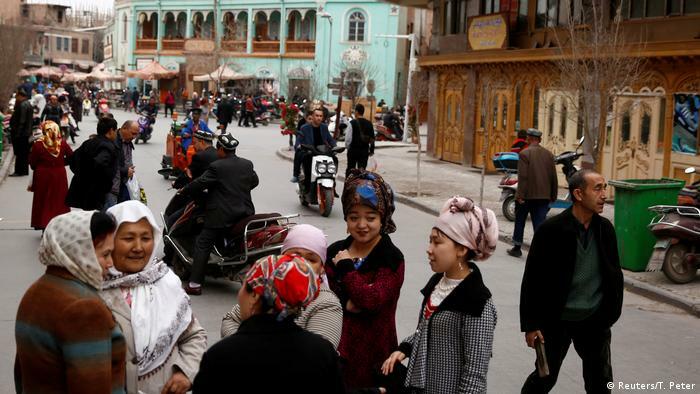 UN experts have said there are credible reports that as many as a million Uighurs, ethnically Turkic Muslims which reside in western China, have been interned in camps in the last year. “We cannot accept re-education camps,” Maas said after meeting with Chinese Vice Premier Liu He in Beijing, adding that more information was needed to assess the situation. Uighur ‘re-education’ camps: Cultural genocide in China? Last Thursday, members of Germany’s Bundestag condemned the Chinese government for its treatment of the Uighur population, accusing Beijing of violating human rights. In a motion, the Greens party called on the German government to demand that Beijing grant independent observers and journalists access to the Xinjiang region. “Xinjiang belongs to the territory of the People’s Republic of China, and issues concerning Xinjiang fall within China’s jurisdictions and internal affairs,” a statement published last Friday by the Embassy read. China has said the camps are “training centers” to equip people with employable skill to help combat Islamist extremism in the still bloodied Xinjiang province. However, rights activists say the centers are political indoctrination camps where Uighurs, Kazakhs and other Muslim minorities are taught Communist propaganda and forced to renounce their religion. 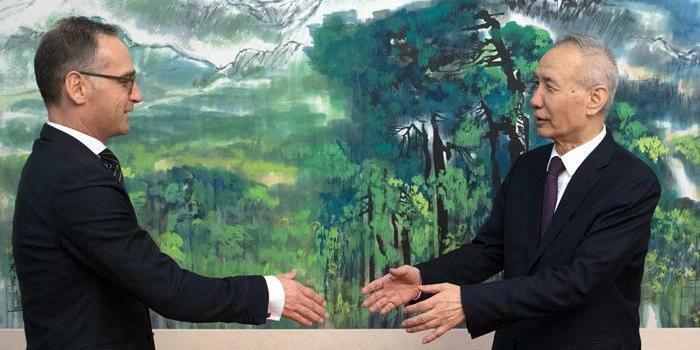 Germany wants to expand bilateral consultations between Germany and China, on cooperation at the UN among other issues. Before he left Germany, Maas had said “China is more than just our most important trading partner in Asia,” and needed a strong relationship to tacle issues such as security and climate change. Maas also stressed that Berlin and Beijing had a common interest in ending trade disputes. China was Germany’s most important trade partner in 2017 with a trade volume of over €186 billion ($209 billion). The minister was also to meet with economy officials and with Yang Jiechi, the director of China’s foreign affairs office, and Chinese Foreign Minister Wang Yi as part of his two-day visit.